2. Warm family apartment 5 rooms with a south terrace of 40 m2 on the ground floor of a building in the center of the village of Chandolin. Ideal for 2 people, it can accommodate with its sofa bed for two additional people. 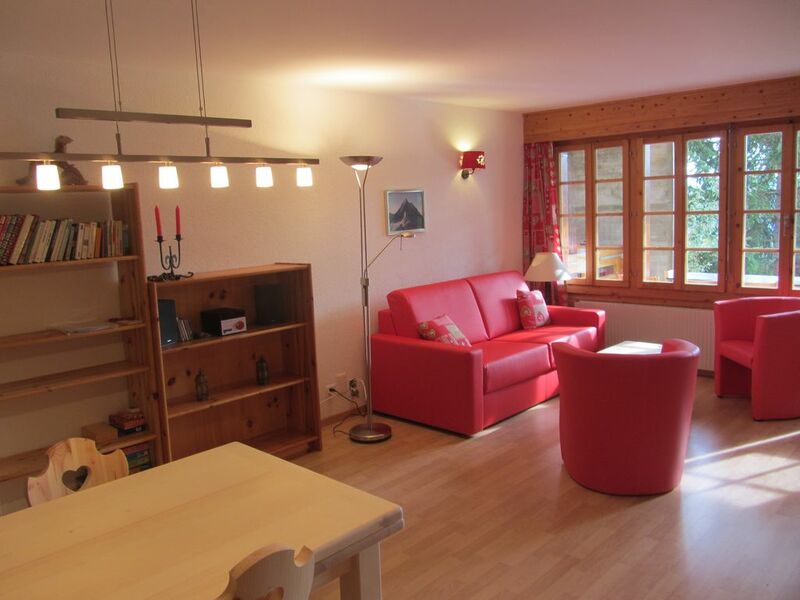 Renovated in autumn 2013, this apartment is located 2 minutes from the shops and the arrival of the track of the Illhorn. In winter, the start of the free shuttle to get to the chairlift is slightly lower against the building. Park places (paid in winter / free in summer-autumn) are available in the center of the village (2 min). Séjour très agréable dans une région magnifique. L'appartement était très agréable. Et les Suisses aussi. J'ai remis les clés à l'endroit indiqué. Merci au plaisir de revoir pour un prochain séjour. Take the motorway to Sierre-east exit Val d'Anniviers, direction Vissoie / Val d'Anniviers. A Vissoie follow St-Luc / Chandolin. On arrival at Chandolin, continue on the main road towards the old village. The apartment is located in the first building on your right. Propriétaire non présent sur place. Tarif dégressif en fonction de la durée.